Camp Woodland | Camp Woodland Passed the “Test”! Camp Woodland Passed the “Test”! When we think of tests, we often think of being in school and the exams taken that mark the end of a chapter, unit, semester or year. While we try not to compare camp to school, Woodland actually had two tests of its own this week! This past Tuesday, Camp Woodland greeted 3 trained volunteers from the American Camp Association (ACA) for our accreditation visit that occurs every 3rd year. JoAnne gave our guests the grand tour of camp, and they stopped to watch various activities in action, check out a few cabins, interview some campers and staff, and take a look at the kitchen and health center. Following the tour, the 3 visitors went through multiple notebook binders to verify that we have the necessary documentation to be in compliance with close to 300 health, safety, and program quality standards! Whew! One of the first signs you see when you come into camp! Why do we seek accreditation? We’re glad you asked! 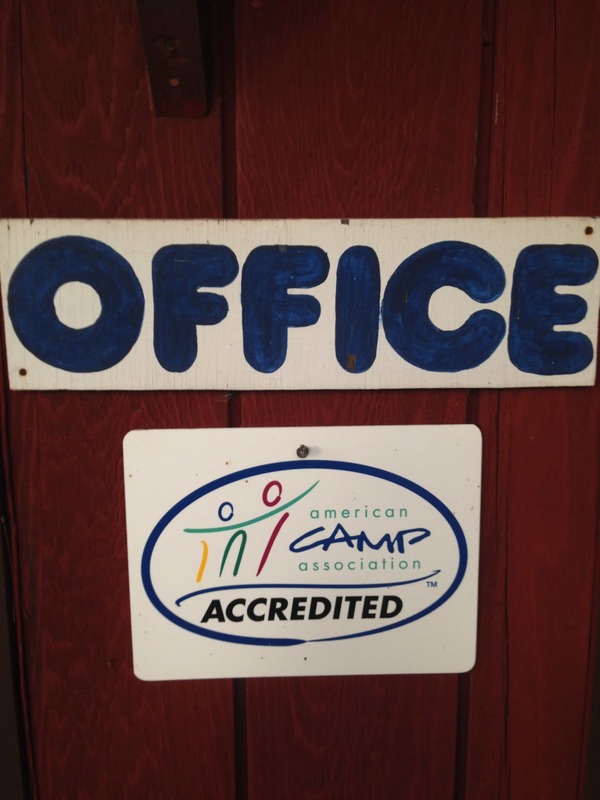 Camp Woodland and Towering Pines PROUDLY display the ACA-Accredited Camp sign as it has 50 years of parent trust behind it. 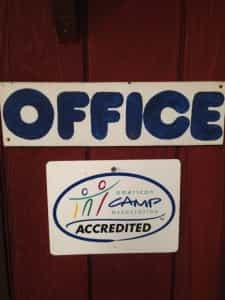 Accreditation means that both camps have proof of accountability, credibility, and commitment to the best practices established by the camp industry. Experts from many fields including the American Red Cross and The American Academy of Pediatrics, for example, are consulted to work with ACA to continually improve the camp standards program. We are happy to report that Camp Woodland “PASSED” this big test again this year! Towering Pines will be on the list of camps to be visited next summer. 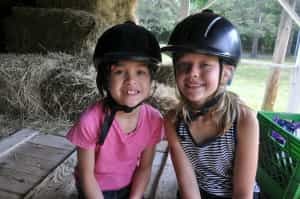 Wearing a helmet, boots, and long pants is an example of one of the program standards for horseback riding. For our second “test” this week, the Oneida health department came for their annual review on Thursday, and they made similar stops to ACA on their walk around camp. The great thing is that because our staff are well-trained at the beginning of each summer and on an on-going basis, they handled any questions that were asked like pros and did a nice job telling the story of what we do and why. 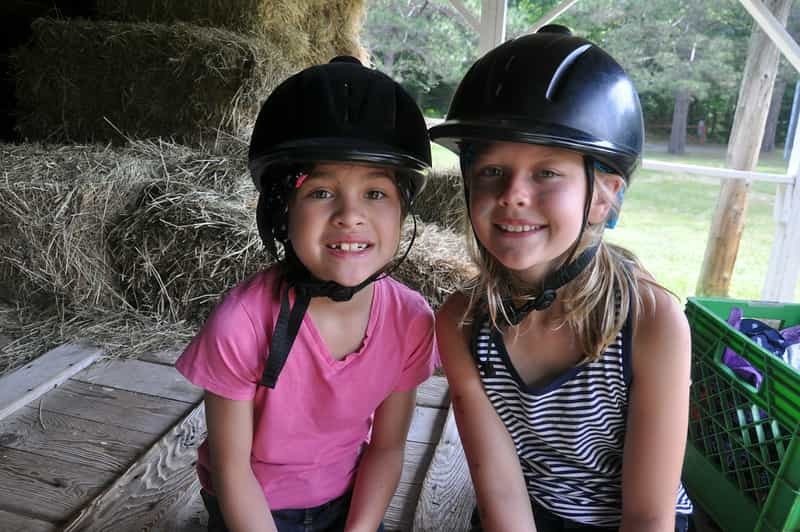 Camp Woodland had another excellent report from the health department (are you surprised?!)! It made for a busy week, and we are glad to get back to the more FUN part of our jobs (like driving campers to the Ropes Course in Rhinelander, honoring our 5 and 10 year campers and staff at Camp Birthday, and watching the AMAZING drama/gymnastics/dance shows tonight)!